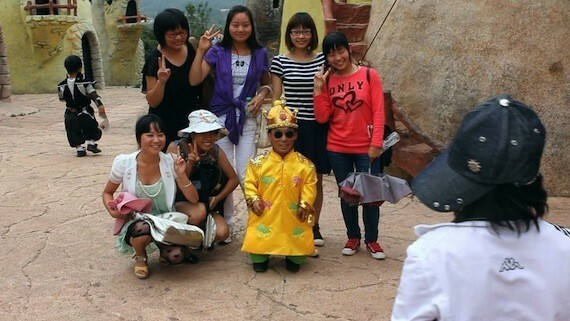 The Freaky visits the Chinese kingdom where only dwarfs live. 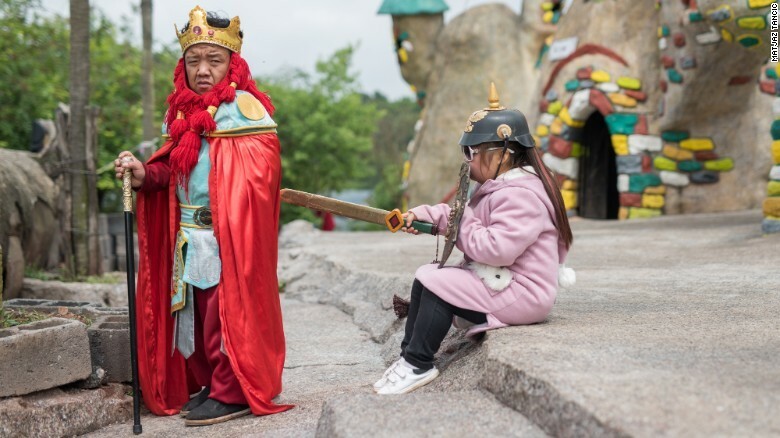 The Kingdom of the Little People outside Kunming, in China’s Yunnan province, is home to around 100 small people all under 130 cm (4ft 3in) tall, most of whom have the medical condition that causes dwarfism. 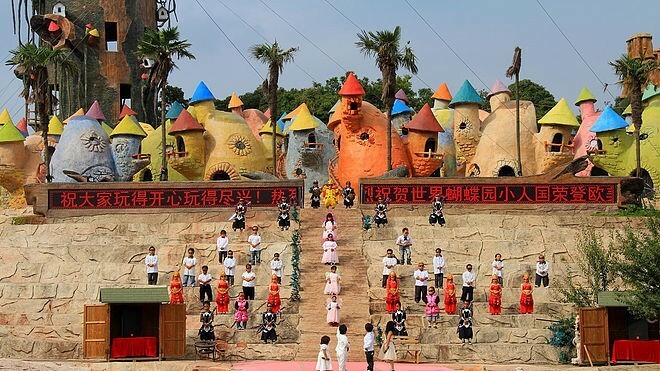 It is also a theme park where tourists come to watch kitsch performances, ranging from a saucy can-can to a bizarre Swan Lake, and take photos of the tiny inhabitants as they wander round the small mushroom shaped houses. 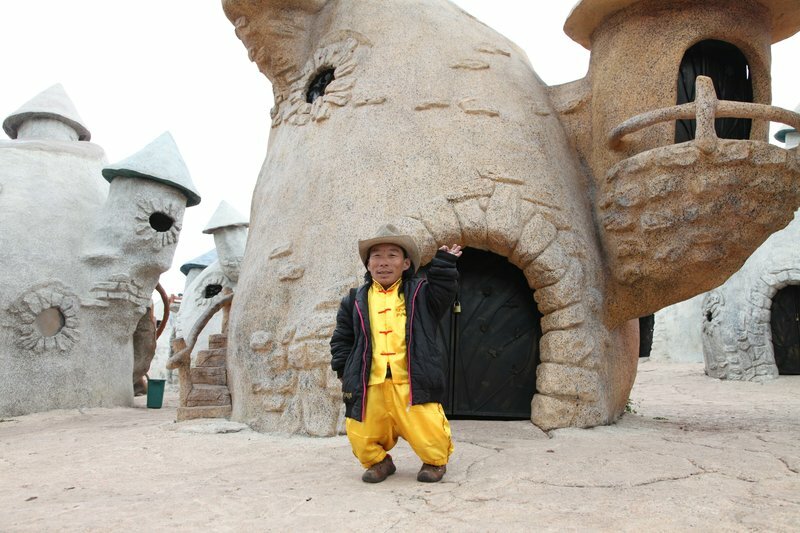 The Kingdom was built by Chinese millionaire Chen Mingjing after chatting to two dwarfs at a train station. The theme park opened in 2009 and has been criticized by some as exploitative and no better than a freak show. But in a country where people with disabilities are often badly treated abused and prejudiced against, the actual inhabitants it’s a sanctuary. Many of the Kingdom’s performers come here destitute and had previously survived as street beggars. “As soon as I arrived and saw people like me I was happy,” says Li Ying’an, 28, who married fellow performer Peng Chunsong, 24, after they met at the Kingdom. The workers are paid around 2,000 rmb ($320) per month for two one-hour performances per day, with lodging and meals provided by the park, which is about equivalent to a full time wage in a Chinese clothes factory. In an ideal world people who are different would not be gawked at and prejudiced against but until that world exists this a kingdom where people with dwarfsm can live and work safely and secure.